موسوی, نیره السادات. (1390). Ancient Iranian Urban Structure and its Situation in Contemporary City. هفت شهر, 3(شماره 33 و 34), 150-167. نیره السادات موسوی. "Ancient Iranian Urban Structure and its Situation in Contemporary City". هفت شهر, 3, شماره 33 و 34, 1390, 150-167. موسوی, نیره السادات. (1390). 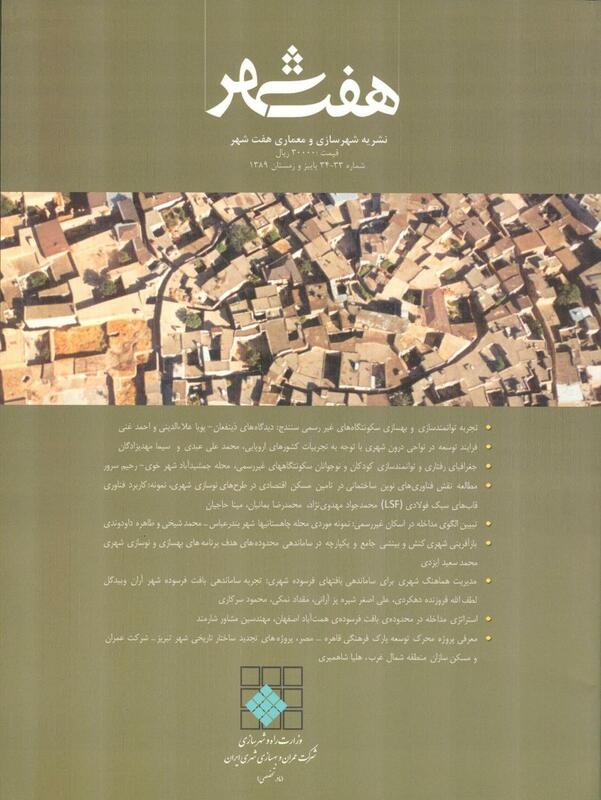 'Ancient Iranian Urban Structure and its Situation in Contemporary City', هفت شهر, 3(شماره 33 و 34), pp. 150-167. موسوی, نیره السادات. Ancient Iranian Urban Structure and its Situation in Contemporary City. هفت شهر, 1390; 3(شماره 33 و 34): 150-167.